Whether you have experience in the child care industry or you’re making a leap from another profession, getting to a point where you can open your doors is a challenge on its own. In the past, we have outlined tips for running a daycare, but becoming a viable child care option and proving that you will be able to fulfill the needs of local families requires a lot of work and attention to detail. The day-to-day of any center is comprised of countless moving parts, but you have to build yourself up to that level. Doing so will require you to think more about the big picture and plot out your path. In this post, we will be diving into some of the most common challenges that we see child care owners and operators face when putting the many pieces of a new daycare center together. Then, we’ll outline resolutions that will help you face each challenge head on. There are strict licensing requirements that need to be met before you can open your daycare. If these requirements aren’t fulfilled, you will be denied a business license and won’t be able to operate. Building your daycare from an idea to a reality requires financial support. Whether it’s through your own cash or via loans, it’s a major investment that you need to prepare for. If things go wrong along the way due to a lack of finances, your options will be limited. Understand why you are entering this industry and provide yourself with a well-defined role. If you don’t take this step, you won’t have a clear idea of how your daycare will be organized and when hiring a staff, you won’t know which qualities will best compliment the role you see yourself fulfilling. Take a look around at the daycare landscape in your area and determine what it needs, and what you can provide. By having an idea of what you can expect for enrollment, you can create a better business plan. Without having this knowledge, you will fail to maximize the value of your daycare’s potential as a business. Being responsible for early childhood development and caring for children during their formative years is a significant undertaking, and a capable staff and child care software solutions can help you smoothen the ride. Nevertheless, there are smaller mountains to climb before you can get to the top. The overarching question about opening a daycare it comes down to this. Are you ready for that responsibility? A simple yes or no answer might not suffice. 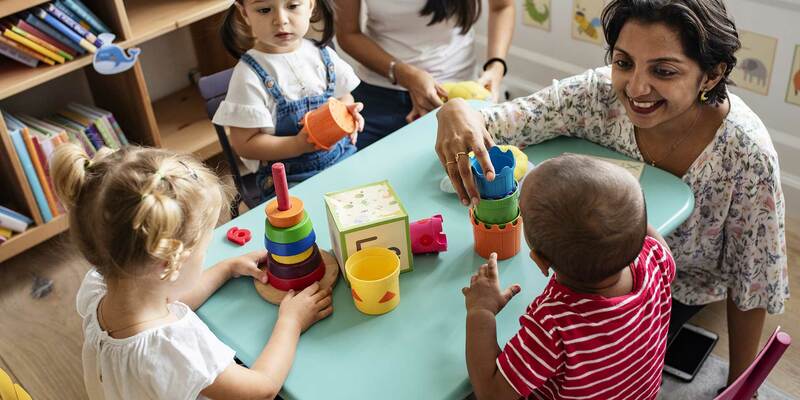 If you are ready to fill that role in the community and you are set on opening a daycare, here are a few tips on how to overcome common challenges that might pop up. The challenge here is projecting the size of your daycare and everything that comes with it, and then finding an area that will fit your needs. Preferably, the area will have the potential to grow as your daycare does. If a big space isn’t available, or if it’s out of your price range, don’t plan on opening a huge operation. You need to find a space that fits your needs, as well as one that will be appealing to local parents - one that you can maintain visibility into, and it also needs to be within your financial limitations. The requirements for owning and operating a daycare make up a lengthy list. Checking off all of those boxes can be challenging as you prepare to start your daycare. These requirements are more than reasonable, though, considering the importance of child care providers in the years of early childhood development. Successful daycare management consists of some combination of education credentials, business acumen, and a willingness to continue learning. To put yourself in a position to succeed, outline your business plan in advance and take the time to make sure it will help reach your goals. You will also need to identify the gaps in what is being offered at local daycares that are already open and find a way to differentiate your offerings. Your staff will be the foundation of your daycare, and you will need to fill it out based on what needs you have. Ultimately, the team you surround yourself with should complement what you bring to the table as the owner, but they need to fit into your larger vision for how your daycare will operate. The challenge here is surrounding yourself with child care providers who are experienced, driven, and ready to go on a new journey as part of your daycare. Opening a daycare that provides high quality care, requires an understanding of your strengths and limitations. A strong plan for opening a daycare center is incomplete if it doesn’t account for the challenges you will face before the doors are even open. Looking too far ahead is a surefire way to slow down the process of providing care for children in your area. Learn about how Procare’s child care management software supports daycare administrative tasks. The representative is so friendly and helpful. He walked me through everything so patiently. He was able to teach me things I had no idea Procare was able to do.